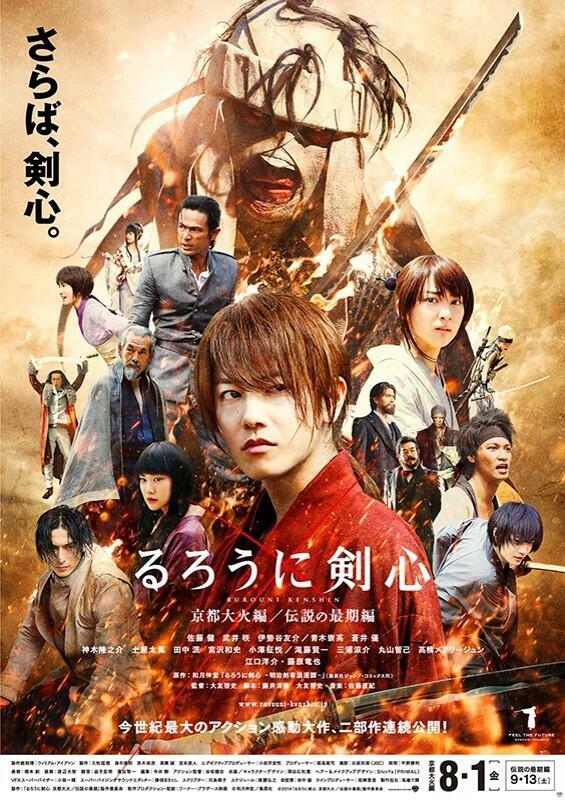 Visual for August 1 & September 13 films bids "Farewell, Kenshin." Publicity producer Tokunaga Kimura explained the tagline: "It signifies the end of the Kyoto arc, where Kenshin in his desperate state may not be able to honor his oath not to kill, thanks to the appearance of the most insane enemy — and the parting of loved ones." The two new films will cover the Kyoto arc from Nobuhiro Watsuki 's original historical action manga. Rurouni Kenshin: Kyoto Taika-hen ( Rurouni Kenshin : Kyoto Inferno) will open in Japan on August 1, and Rurouni Kenshin: Densetsu no Saigo-hen ( Rurouni Kenshin : The Legend Ends) will open on September 13. Principal photography on the two films ended on December 27 after six months of filming. This year's combined 22nd/23rd issue of Shueisha 's Weekly Shonen Jump magazine is announcing on Monday that Yoshihiro Togashi will resume his Hunter x Hunter manga in the 27th issue on June 2. 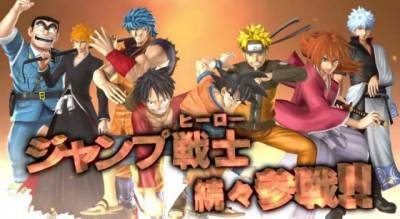 The tagline for the manga's return reads, "What is being aimed for is darkness. What is being hunted is hope. What blocks the way is endless despair." 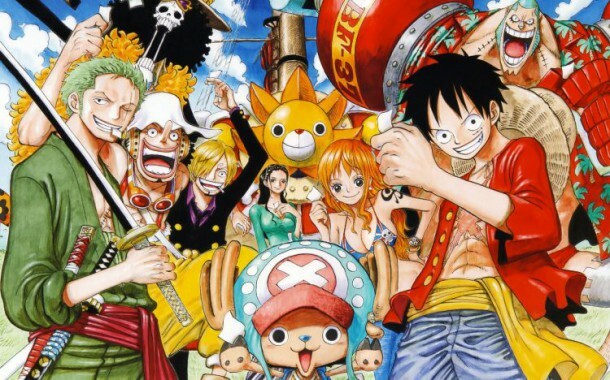 Shueisha and Viz Media announced on Tuesday that the manga's return will run in the Japanese and English versions of Weekly Shonen Jump simultaneously. Togashi had gone on hiatus after his longest uninterrupted run of the manga in March 2012. Shueisha shipped the 32nd compiled volume in Japan in December 2012, and Viz Media just released the same volume in North America this month. 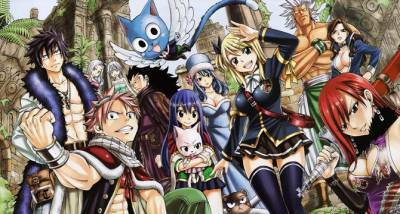 The manga inspired two television anime series including one that has been running since 2011. It also inspired two anime films and several original video anime titles. This year's 13th issue of Kodansha's Weekly Shōnen Magazine announced on Wednesday that the new anime adaptation of Hiro Mashima 's manga Fairy Tail will premiere in Japan on April 5. New episodes will air on 6 TV Tokyo networks every Saturday at 10:30 a.m. 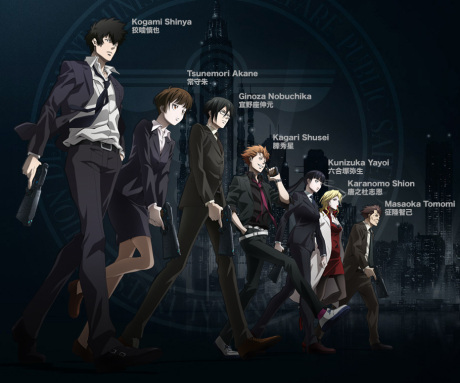 The original manga inspired a television anime that concluded last March with a "To Be Continued" title card. Weekly Shōnen Magazine announced on January 8 that the anime will return in April. Funimation is releasing the first anime series on DVD and Blu-ray Disc in North America. Part 8, which includes episodes 85-96, shipped on February 4. 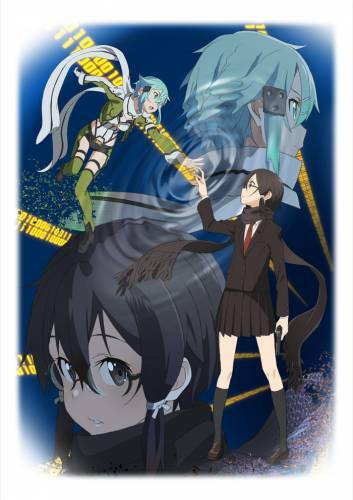 The Sword Art Online panel at Dengeki Game Festival 2014 confirmed on Sunday that the Sword Art Online II television anime series will premiere in July. The anime's announcement was made during the premiere of the Sword Art Online: Extra Edition special and on the franchise 's updated website. The website gives the new arc the subtitle "Phantom Bullet."